In class 1 the children have been busy exploring shape and how we can turn shapes and describe how we have moved them. The Year 1 children have also been looking at counting in 2’s, 5’s and 10’s and have used times tables to explore number patterns. Reception have been busy learning the story of the Three Billy Goats Gruff whilst Year 1 have adapted the story and are writing their own versions. In science the class have looked at plants in the wild and local gardens as well as looking out for birds following their bird watch recently. They are now moving on to looking at different types of trees in the area. 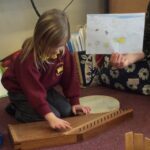 In music the class loved listening to Vivaldi’s four seasons and then created their own music to match their pictures. 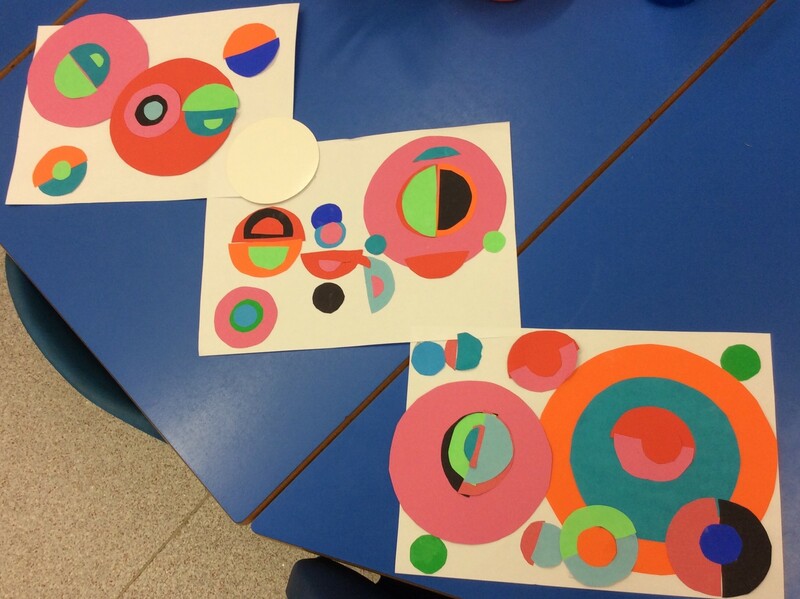 For art the class studied Sonia Delaney and created their own pictures with circles.